In Meridian, the Mississippi Highway Patrol says a trooper’s car hit a horse and overturned — as the officer was answering a report that another driver had hit a horse. WJTV reports that officials did not identify the trooper, but say he was released after being checked at a hospital in Meridian. The accident occurred Saturday night on Highway 15 in Jasper County. Officials say another horse ran into the road in front of the squad car. In Jackson, police are investigating a fatal shooting at a north Jackson motel. 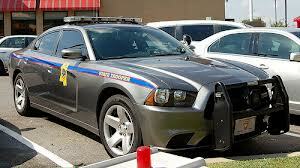 WLBT TV reports the shooting happened around 7:30 p.m. Sunday at the Motel 6 on Interstate 55 North. Officer Colendula Green a 56-year-old man was shot and killed. Green said the shooting is being investigated as a homicide. In Saltillo, authorities say a 55-year-old man died after receiving fatal injuries from a two-vehicle crash on Highway 45. Lee County Coroner Carolyn Green tells WTVA TV Johnny Miller was traveling on Highway 45 when his pickup truck was rear-ended. Miller was taken to North Mississippi Medical Center in Tupelo where he later died of injuries sustained in the wreck. In Philadelphia, the circa 1926 historic Coca-Cola building in Philadelphia may be renovated for use as a warehouse for a proposed Marty Stuart Center. Community Development Partnership President David Vowell asked Neshoba County supervisors to transfer ownership of the county-owned building to the Industrial Development Authority. The Neshoba Democrat reports that Vowell told supervisors that having the warehouse for part of Stuart’s Country Music collection is needed for the project to move forward. The building most recently housed a furniture store and is currently being used as storage space for the county. The renovation would be funded through $1 million in state bond proceeds allocated for the proposed Marty Stuart Center earlier this year, Vowell said. In Meridian, the City Council is looking at new rules to bring back a public comment period at the end of its meetings. The council took public comments off the agenda in June, in response to a group they said was monopolizing the time on issues that were unrelated to the city’s business. The Meridian Star reports that the council could vote on the new policy in November. Each person will be given three minutes to speak, with a total of five people allowed to speak at one meeting. Public comments will not run more than 15 minutes total. In Natchez, the only employee of Adams County’s Solid Waste Enforcement department has resigned and the department is being folded into the sheriff’s office. County Supervisors created the office to investigate illegal dump sites and cite litterers. Board President Darryl Grennel tells The Natchez Democrat that after Paul Brooks resigned, the board asked Sheriff Chuck Mayfield about taking over litter enforcement, since all deputies can write tickets. Money remaining from the grant used to create the job will be moved to the sheriff’s office.